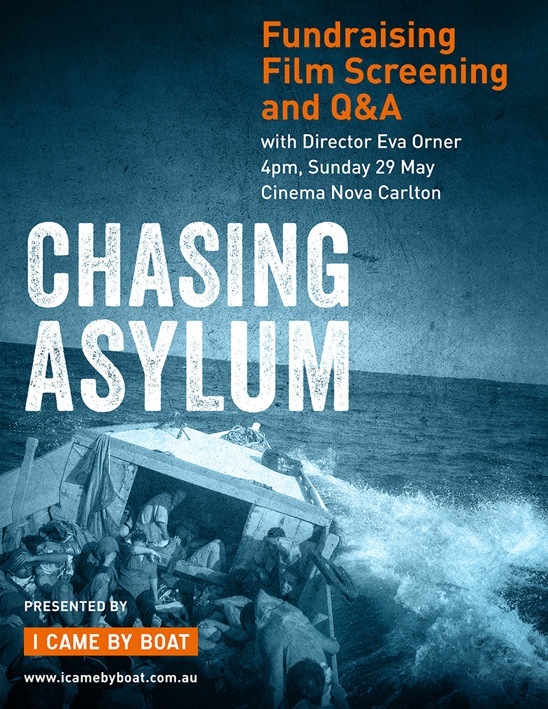 I Came By Boat invites you to see ‘Chasing Asylum’, the powerful new documentary feature about Australia’s treatment of asylum seekers, followed by a Q&A with its Academy Award winning director and producer Eva Orner. Q&A will be facilitate by Kristina Kukolja, Walkley Award winning journalist (SBS). $10.50 from every ticket sold for this screening goes to I Came By Boat campaign.